You’ll go nuts for this sweet and crunchy recipe from Tidy Mom. 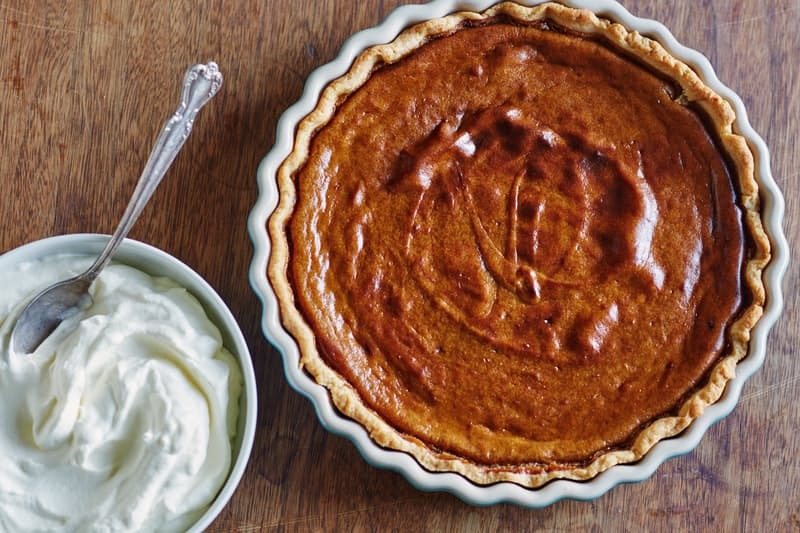 Find the recipe for a Layered Walnut Pumpkin Pie here. 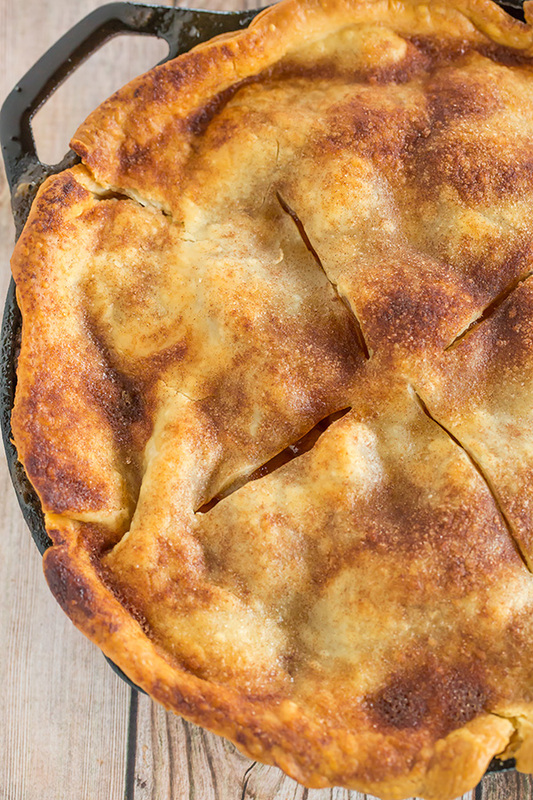 If you don’t have a pie dish handy, try making your dessert pie in a skillet! Check out this recipe from the Brown Eyed Baker. 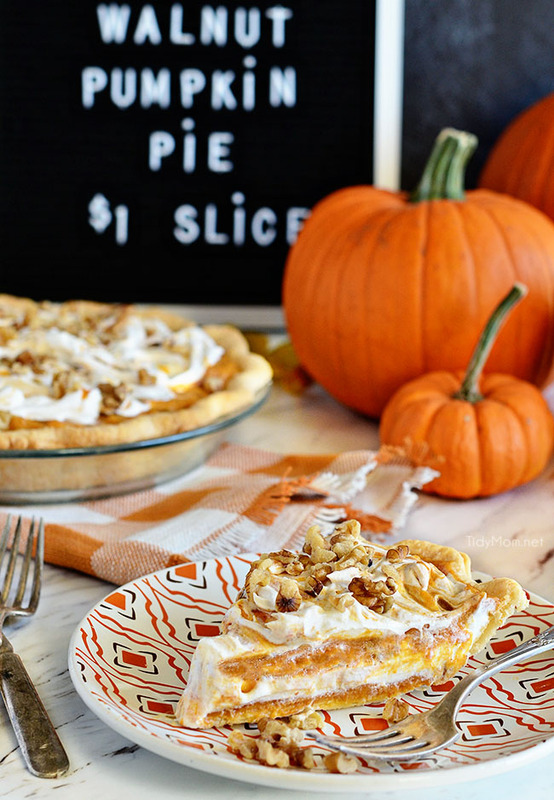 You might want to make two because these pies will most definitely get devoured at the holiday table! A sweet and fluffy treat that requires zero baking! 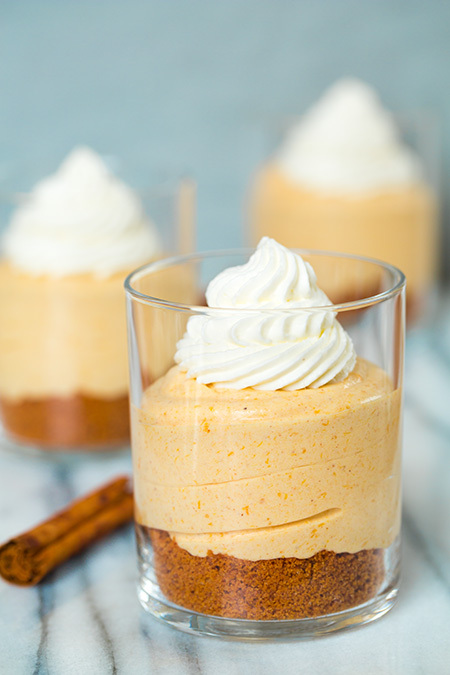 Find the recipe for this No Bake Pumpkin Cheesecake over at Cooking Classy. 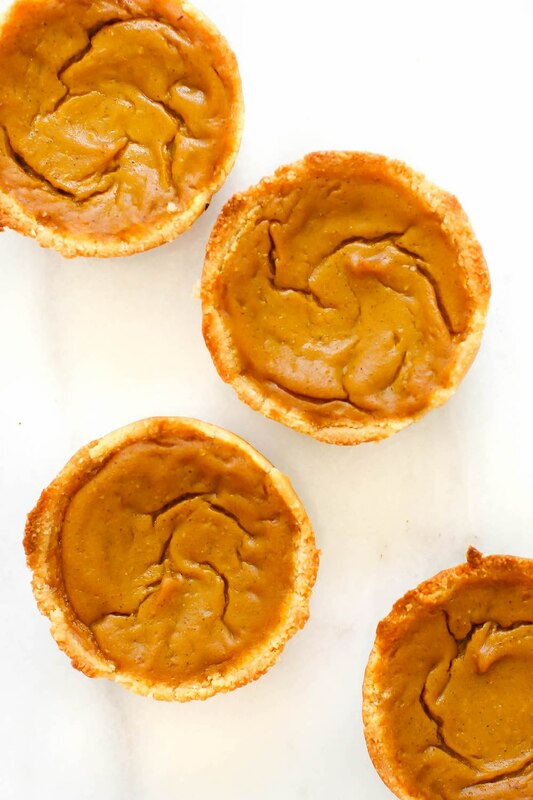 If you’re not a fan of pumpkin but still love a good custard pie, try this Sweet Potato Pie recipe from The Kichn. Eating holiday dessert can be guilt-free with this recipe from Paleo Gluten Free. These are also great to have post-holiday as a snack at work or school! 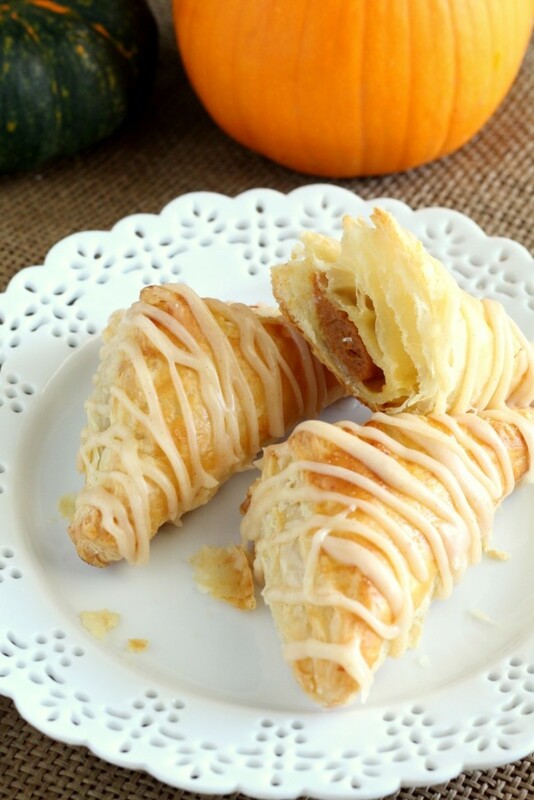 Simple and elegant are the best adjectives to describe this Pumpkin Puff Pastry Turnover recipe from Chocolate with Grace Find the recipe for this light and airy dessert here. This isn’t your ordinary pumpkin bread! 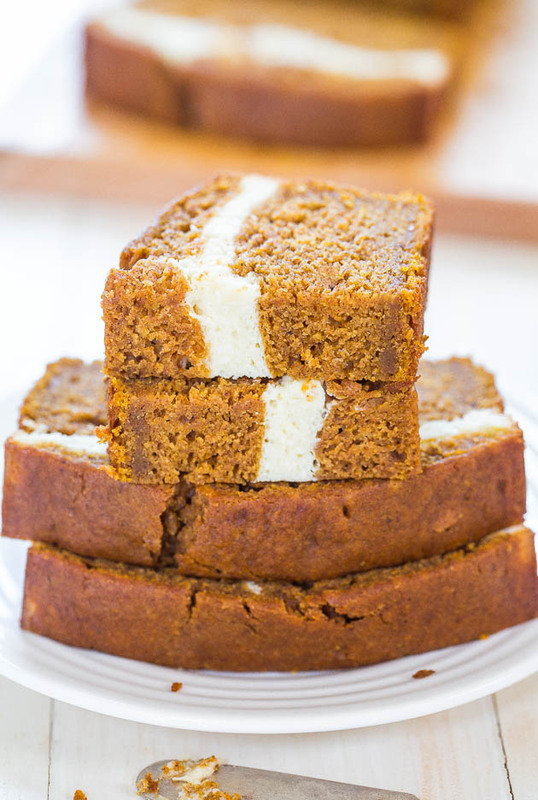 Enjoy the combination of pumpkin and cream cheese in bread form! Find the recipe here at Averie Cooks. Sugar? Yes, please! 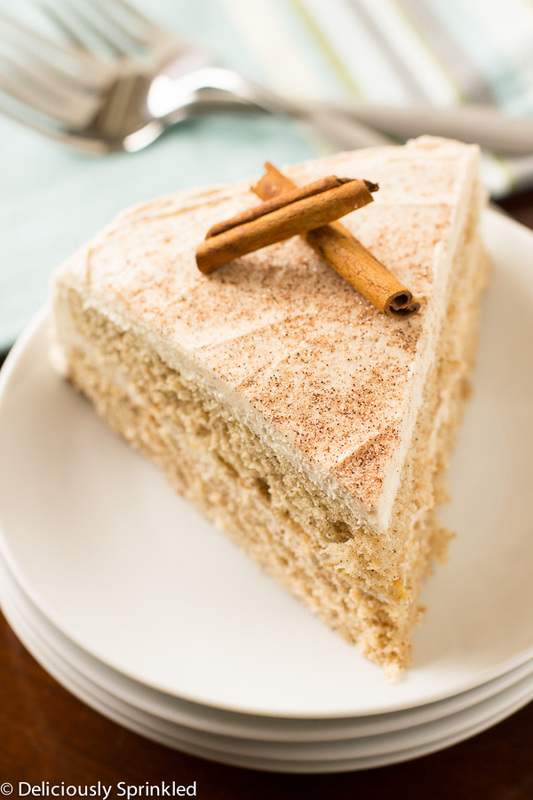 Everyone with a sweet tooth will enjoy this Cinnamon Sugar Cake recipe from The Recipe Critic. 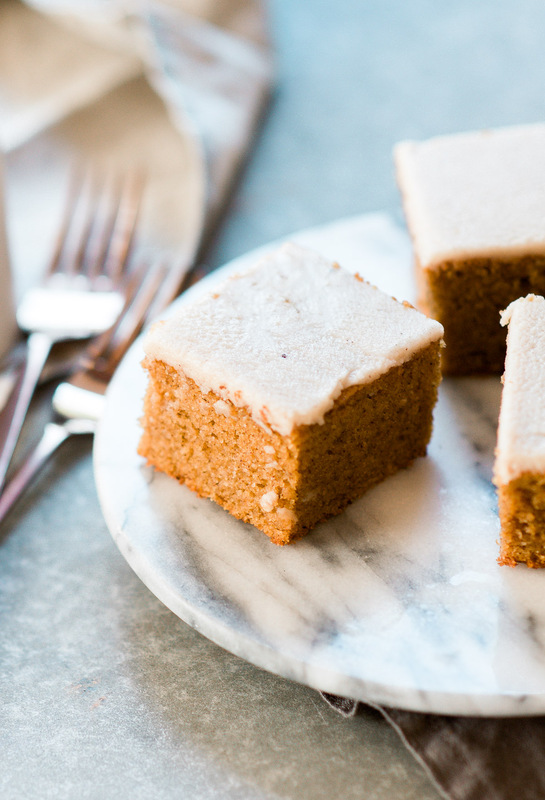 A light and fluffy cake is iced with sweet cinnamon buttercream covered in sugar. Check out Jenn’s recipe here. Slab pies are all the rage! Why? Because they’re so easy to bake! 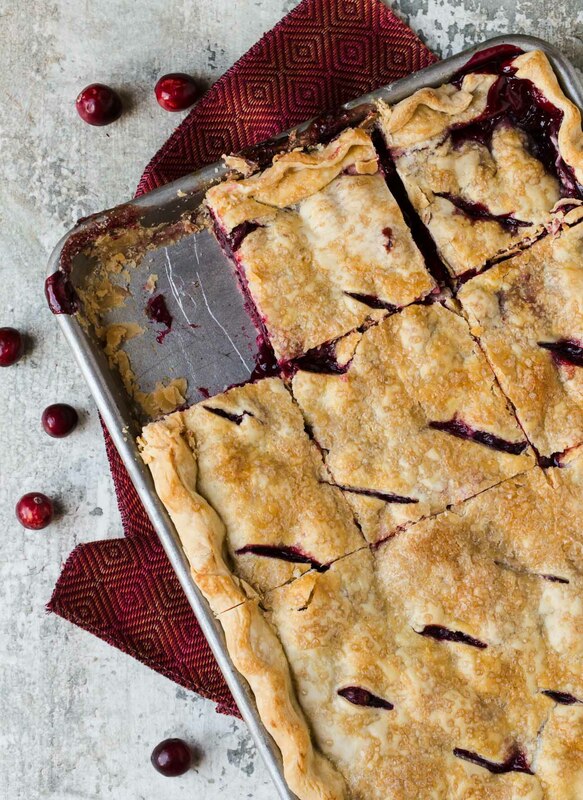 Check out this Cranberry Cherry Slab Pie from Garnish with Lemon. This dessert takes less than an hour to make and can feed a gathering of 12! Easy…healthy…and drool-worthy! This recipe from Feasting on Fruit is a quick and beginner-friendly dessert recipe that only needs 7 ingredients! Can baking get any easier? 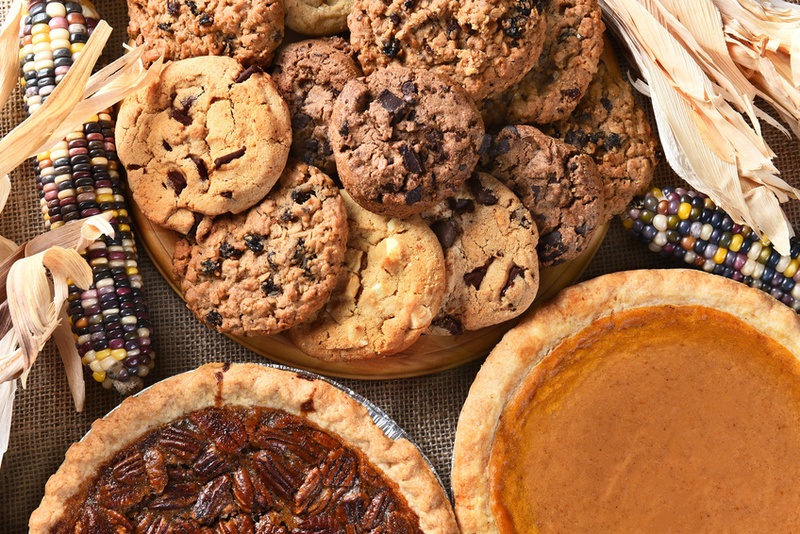 Do you have a favorite Thanksgiving dessert recipe? Share it with us in the comments below.